Sell Totaled Cars & Total Loss Cars! We Buy Wrecked Cars Near You! Answer a few questions about Your Wrecked Car & We'll give you an instant offer! Guaranteed Offer on Your Car! FREE Towing & Pick-up Nationwide! What’s your totaled car value? The first thing to is ask how to determine if a car is totaled, and how to know if your car is totaled. 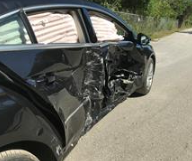 What happens when a car is totaled usually involves your insurance totaling your car using an insurance adjuster. Typically it's when the repair cost exceeds the value of your vehicle. You can check the value of your totalled car right now online. It doesn't make sense to put more money into a car that isn't even worth the repair costs. 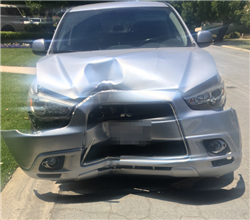 So the car's totaled, now what? Can you trade in a totaled car? 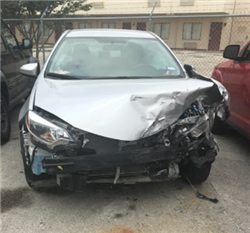 Car Totaled Not at Fault - What is The Insurance Payout of My Totaled Car? If your car total loss is not at fault you may be able to get an insurance payout and keep your car to sell it at the same time. When looking at how to get rid of a totaled car, if your insurance was to keep it they would likely sell the car for scrap, which is the fastest way but lowest price you can get. If you retain ownership you can sell your totaled car online quickly. How Much is My Totaled Car Worth? totaled car's value by entering your zip code on this page, so you don't have to guess. Though be warned, when a car is totaled it can lose 50% of it's Kelley blue book value or more. Who Buys Totaled Cars Near Me? Our totaled car value calculator uses advanced technology and takes into account many details specific to your total loss car. Usually you can get a fair offer for your vehicle in under 90 seconds, and because we're confident in our prices, it's guaranteed! Where Can I Sell A Totaled Car for Cash? When you are shopping your totaled car for sale around you have to figure out how to sell a totaled car at the top price. This typically involves getting quotes from junkyards who buy totaled cars, and national car dealers like CarMax. You might be able to sell your totaled car privately if there's a local car buyer who wants your exact make, model and has free time to repair it. In all these situations though you will likely get a low offer. With CarBrain we give you an instant quote online in a matter of seconds, and it's guaranteed so we won't haggle you down at all! Selling your totaled car online is definitely the easiest way too, since the car is picked up at your home or office and all you have to do is be there to receive payment. Selling a totaled car to CarBrain is a simple process that allows you to get the best value for your totaled vehicle. Getting cash for totaled cars is difficult, however, getting top cash value is not. Our tow driver pays you with a pre-printed check in our buying totaled cars process. Have any more questions about how you can sell a totaled car? If you have any qualms about the process of selling your wrecked car then we should be able to make clear things up for you. When you choose us to sell your car to, the benefits are clear cut. First, the entire service is free from start to finish. No cost to you. Second, the speed at which we can pick up the vehicle is fast. Usually within 24-48 hours of making the offer. Finally, third, our reputation is reliable and consistent as one of the best online car removal services on the internet. If at any point you don’t feel comfortable with an offer, you can always back out without any worry. CarBrain has had experience with the online car removal service since 2007. Since that year, we have made over one million deals. Our car evaluators are experts in their field. 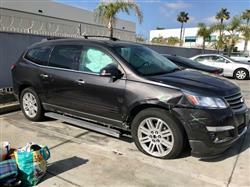 If you have a damaged or crashed car, we will buy it. The whole reason we were made was to provide a fast and easy service that removed the stress of selling junk or totaled cars. If you have a car that doesn’t run or start, you can get it removed from your life as early as today. That’s right, we have the right connections to get your local junk car removed without delay. Out of all the options at your disposal, only one is this fast, easy, and gets you a great deal, and that’s CarBrain. Check our FAQs to find out more. CarBrain will be glad to give you a solid offer for your wrecked or damaged car. We buy cars as long as they are less-than-perfect and you don’t want to repair it. Repairing your vehicle after an unfortunate accident can be an expensive, stressful, long and complicated process. And, even after your car receives a decent job on the repair, it still will likely take a massive hit regarding value, to the tune of up to 31%. When it’s time to sell a car, up to 55% of people will not buy a previously damaged car. Selling your car to CarBrain may be a great option as opposed to repairing the vehicle. Submit your online request for an offer today. The process couldn’t be easier. Go to any page on our website and you’ll see a button that says "Get an Offer". For a lot of cars, you’ll receive a guaranteed instant online offer. Or, we might need a few more details about your car, and you will receive a call from one of our car buyers shortly after you submit the form. They’ll give you your offer over the phone and email it to you. CarBrain buys and picks up your damaged vehicle from virtually everywhere in the continental United States. No need to worry about how far our reach is. Click here to visit our “Areas Served” page to verify we service your ZIP Code. CarBrain analyzes many aspects of your car before making an offer for your vehicle. For example, where the car is, the retail value of your car before the accident, the extent of damage or mechanical and electrical problems, the current market demand for your vehicle and its parts, its make, model, mileage and age all play a vital role of deciding the value. For example, there are cars, like an 18-year-old sedan that doesn’t start or run, won’t get the same offer as others, like a low-mileage two-year-old sports car with collision damage. Some vehicles fall in-between, like a high-mileage nine-year-old SUV with electrical problems. There are no “book” values for damaged or salvage cars, but at CarBrain, we have over 30 years of experience in buying less-than-perfect vehicles. We strive to provide a fair offer to every customer. CarBrain is a free service. There are no charges for evaluations and offers. If you sell a car with CarBrain, we cover the costs for pick up and towing. We don’t like the practice of having hidden fees, so we don’t have any. 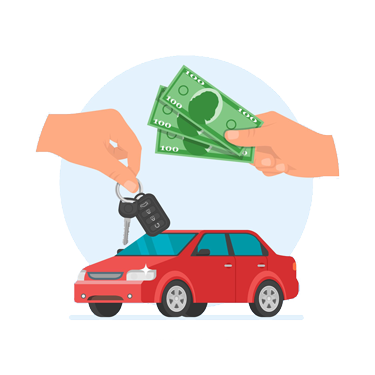 When you sell your car to CarBrain, we pay you, not the other way around. You are responsible for any storage fees or repair expenses incurred before selling the vehicle to CarBrain. What is The Insurance Payout for Total Loss Cars? The insurer is required to prepare a thorough estimate of the damages and will be responsible for paying the vehicle’s owner this amount. 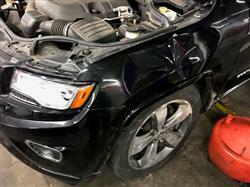 Whether you repair the vehicle is typically up to you. Once the insurance company determines how much they owe, CarBrain will then pay you the residual value of your damaged car prior to repairs. The vehicle owner can receive two payments, one from the insurance company for the damage settlement and a second from CarBrain for the total salvage value of the vehicle. These amounts can then be combined to purchase a brand new vehicle. Repair isn’t always the best option. CarBrain.com, Copyright ©2017. All rights Reserved.